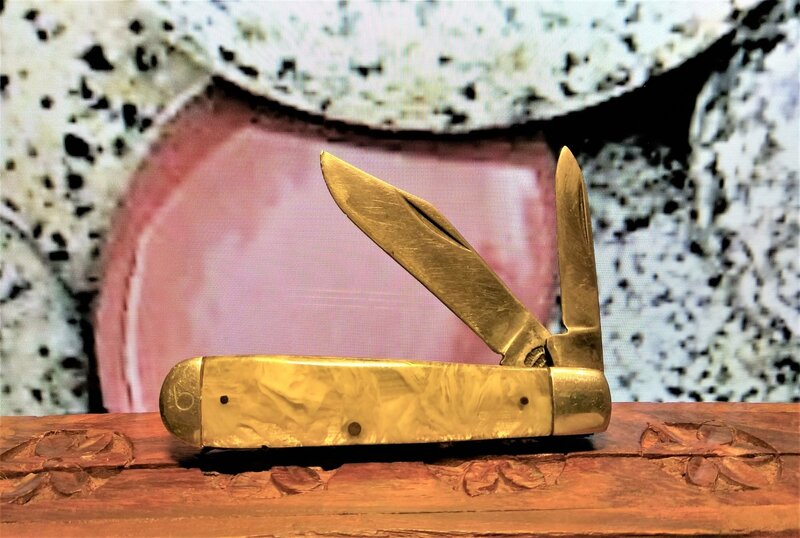 PAL Cutlery Co. - 2 Blade Jack Knife. Carbon steel blades. Nickel/Silver bolsters. Greenish Marbled Celluloid Handle. Believed to have been made in the late 1940's.